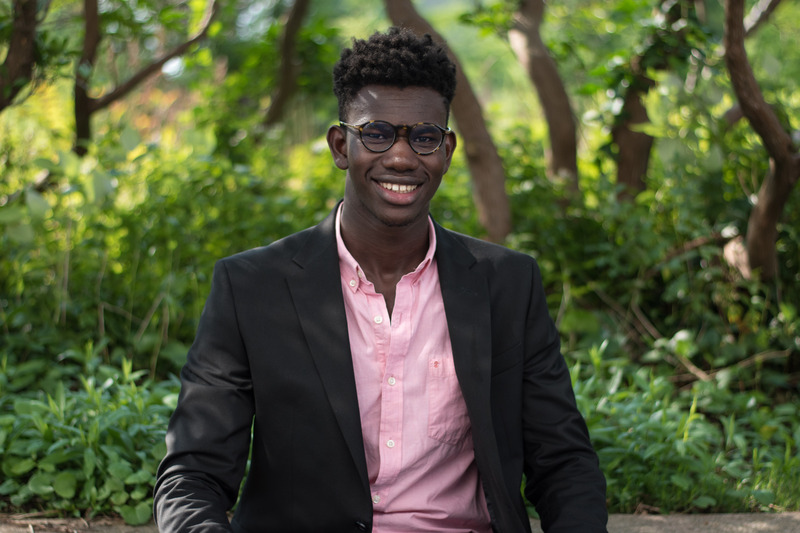 Cheikh is a senior at Connecticut College studying Government and Global Islamic Studies with a minor in Arabic. His passion for politics, governmental structures and a desire to make positive change not only led him to his major, but he was able to land some impressive and exciting internships! What college/university do you attend? What is your major/grad year and why did you choose it? I’m a senior at Connecticut College, I study Government and Global Islamic Studies, and I minor in Arabic. I decided to major in Government because I have always been fascinated by politics as well as government structures, during high school I explored with major interest U.S Policies and U.S Foreign Policies with the hope of knowing how to make changes in the future regarding unfair policies. What was your experience like in Jordan and what are some highlights from your trip? My experience in Jordan was unlike anything I have ever experienced before, societal norms, culture, language, politics, everything was different. My first month was the most difficult, I could not communicate with the locals because the Arabic dialect I studied was far different than what was spoken by Jordanians, however, communicating became easier because of the language immersion. I had two memorable highlights in Jordan; the first one is the drastic improvement I made in the language, I went to a government building without a translator to renew my visa, and a scene was made by the representative because of how good he thought my Arabic was. Second, I went to Petra and Wadi Rum to camp out in the desert with the Bedouin tribe in Jordan. How did you get to intern for the United Nations in Lebanon and can you tell a little about your experience? During the fall of my Junior year, I started reaching out to organizations around the Middle East with the hope of interning with a human rights/ refugee organization. Within those organizations two UN agencies stood out, United Nations High Commissioner of Refugees (UNHCR) and United Nations Refugees and Works Agency (UNRWA). To my surprise, both UN agencies got back to me, I ended up taking the opportunity to intern with UNRWA in Lebanon. My experience with UNRWA is unprecedented compared to anything I have done for my post-grad plans, I experienced working in a professional work setting, as well as learning more about the UN’s role in international politics. My internship experience motivated me to write an honors thesis exploring funding cuts to UN agencies by member states (Thesis currently in works). How does where and what you chose to study abroad relate to your post-grad plans? What advice would you give to students who would like to study abroad but are hesitant? Students who want to study abroad but are hesitant, I was very hesitant myself, I didn’t think immersing myself in a complete different society was a wise choice, but did it anyways with fingers crossed. This decision played a huge role in my character building. If anyone wants to experience something different in terms of studies, studying abroad can be a great move. Can you describe your college experience so far and how CV has helped you? My college experience has been life changing with the help of CV along the way, it has forged me to the person I am today, as well as equipping me to tackle life after College. CV has become a network in college, as well as mentoring concept when I have to make tough decisions. Are you part of any on-campus groups and why did you join? On campus, I am the captain of the Connecticut College Men Rugby Football Club (CCRFC). I am also the Vice-President of Connecticut College’s Student Government Association (SGA), I decided to run for the SGA VP position because I wanted to further serve my school community, and address pressing issues students at large are dealing with, the position gives me a platform not to speak for students but to be the echo for students, and be the effective link between senior administration and the student body. What would you say to donors who are consistently giving to CV and making this resource available? To donors giving to CV and making the resources available, I must say CV is more than just a program aiding students applying to college, CV and its staff have been mentors to me and everyone part of CV, its networks not only makes sure students get into college but that students succeed through college and beyond. Thank you Cheikh for taking the time out to do the interview and we can’t wait to see all the amazing things you accomplish in life!